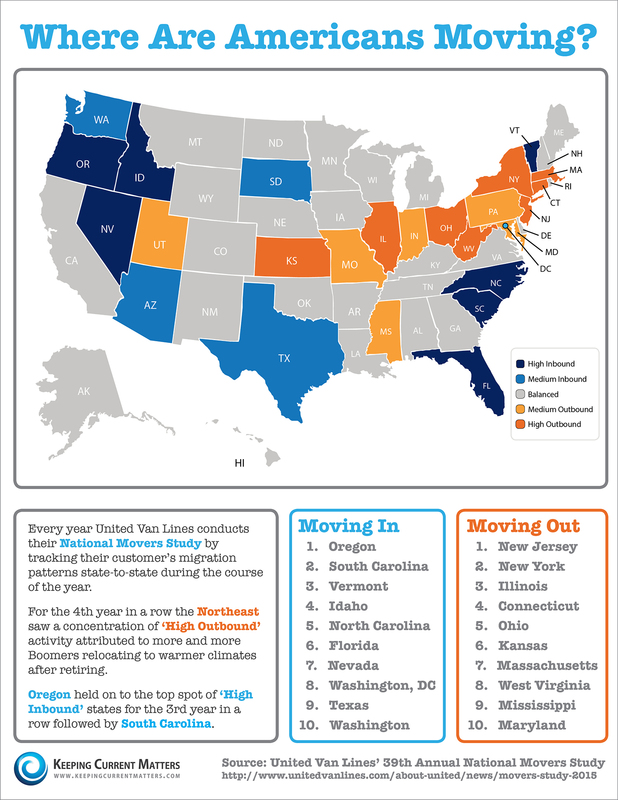 Neat depiction of states to and from which people are moving. I would have guessed the Northeast would be a high outbound area and that a lot of the Southern states would be high inbound. However the high inbound to the Northwest surprised me. Medium and high outbound from the Northeast does help to explain why house prices have been slower to recover here than in many other states. LIKE MORE INFORMATION? PLEASE CALL OR TEXT TO 484-574-4088 OR USE ONE OF THE CONTACT BOXES ON THE SITE. SMOKE SIGNALS ALSO WORK IF YOU ARE CLOSE ENOUGH.